Class it up with some Star Wars style! 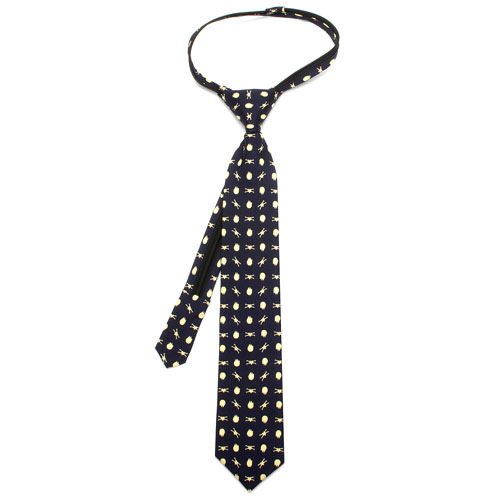 This Star Wars Battle Ships Boys Zipper Silk Tie measures approximately 14 1/4-inches long x 2 1/8-inches wide and features a cool design of the X-Wing and the Millennium Falcon starships from the ever-popular Star Wars films in light yellow on a navy blue background. Pre-tied with zip closure for easy-on, easy-off. 100% Silk.